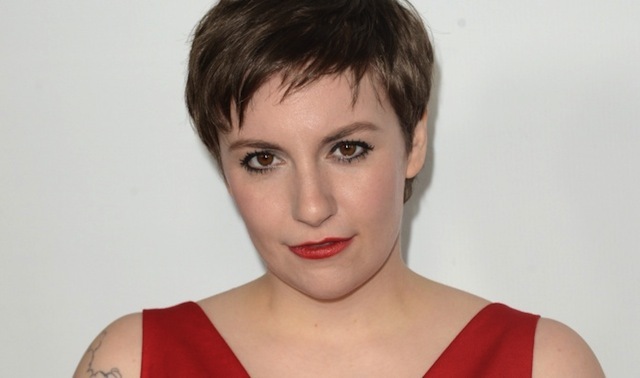 Girls creator and self-professed feminist, Lena Dunham is done with Twitter after getting verbally assaulted after playfully posting an image showcasing her in a sports bra and boyfriend Jack Antonoff’s boxers on Instagram. What ensued is what Dunham decribes as “the most rabid, disgusting debate about women’s bodies”. This isn’t the first time that the actress and literary aficionado has been publicly ridiculed by body shamers who have no issue with reminding Dunham that she is grossly lacking when it comes to her physical prowess. The latest attack was the last straw as Dunham finally waved the white flag and promised to bow out from any social interactions on the web, citing the brutal encounter with strangers who are more than willing to express how much they hate her body. She is more than happy to assign someone else with the task of tweeting and posting on her behalf. Speaking on Kara Swisher’s Re/code Decode podcast, Dunham confirmed her status “I really appreciate that anybody follows me at all, and so I didn’t want to cut off my relationship to it completely, but it really, truly wasn’t for me”. Dunham also criticized her once preferred publications – Gawker and Jezebel for contributing to the bandwagon of hate – declaring that she no longer indulges in anything the two blogs have to offer. She did get into trouble for likening the experience of reading both sites to “going back to a husband who beat me in the face – it just doesn’t make any sense”. She later issued an apology on Instagram for making the careless reference to domestic violence. Dunham insisted that she wasn’t trying to make light of that level of violence but merely hoping to illustrate how brutally unsafe the web can be. Dunham’s prized HBO series will make its long-awaited return in January – in the meantime, there is talk that Girls may end its run sooner rather in later. Until then – Dunham will continue to flourish in her craft while the evil body shamers and trolls will carry on in their quest to pollute the landscape of social media.